These days the early bird not only catches the worm, but a lovely show of the planets, as they parade along the ecliptic (the apparent path that the sun, moon and planets follow in the Earth’s sky). The next two days the waning crescent moon will cuddle up with Venus and Mercury respectively before doing its disappearing act on new moon. 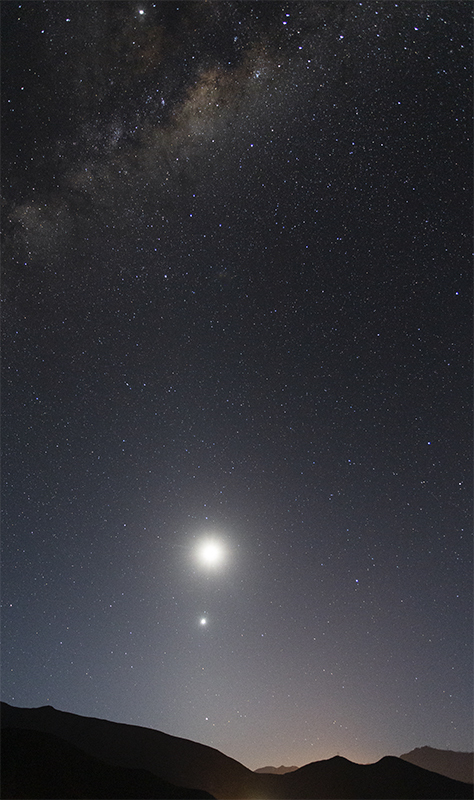 Please be aware that this image was taken in the Southern Hemisphere, where the ecliptic is much steeper at this time of year, which means that the planets Venus and Mercury are higher in the sky and can therefore be more easily spotted.